This is a base recipe that I’ve concocted. 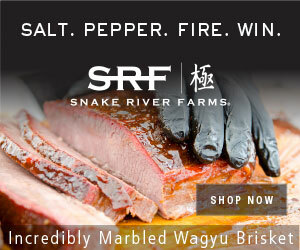 You can change this up by adding things like bacon, green chiles, chicken – or anything your heart desires. In the future I’m going to switch things up a bit as well. 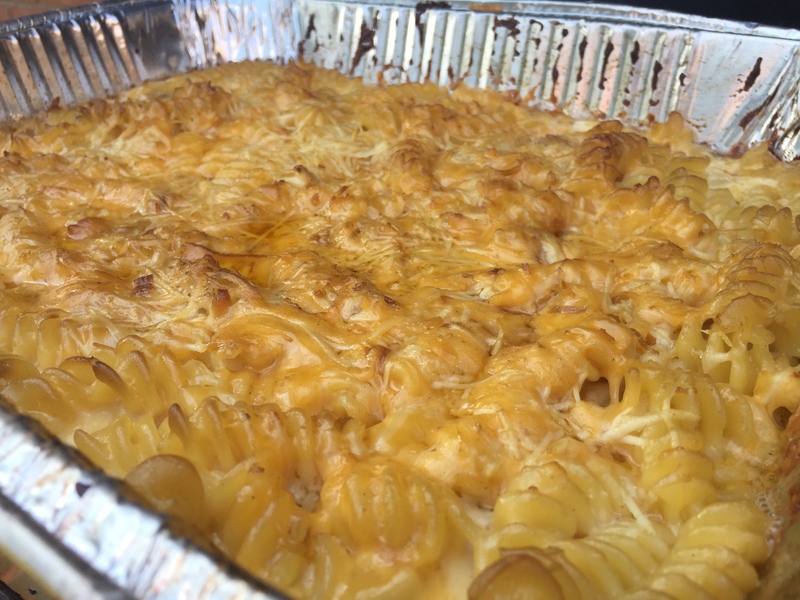 But here’s what I started with to make 2 pans of smoked macaroni & cheese. Wood chips – wrap in a foil envelop, poke some holes in the top of the envelop and then place the package in the middle of the egg, after you’ve gotten the fire going – but before you put the place setter on. Phase 1, you’ll want to target 200-225 degrees. 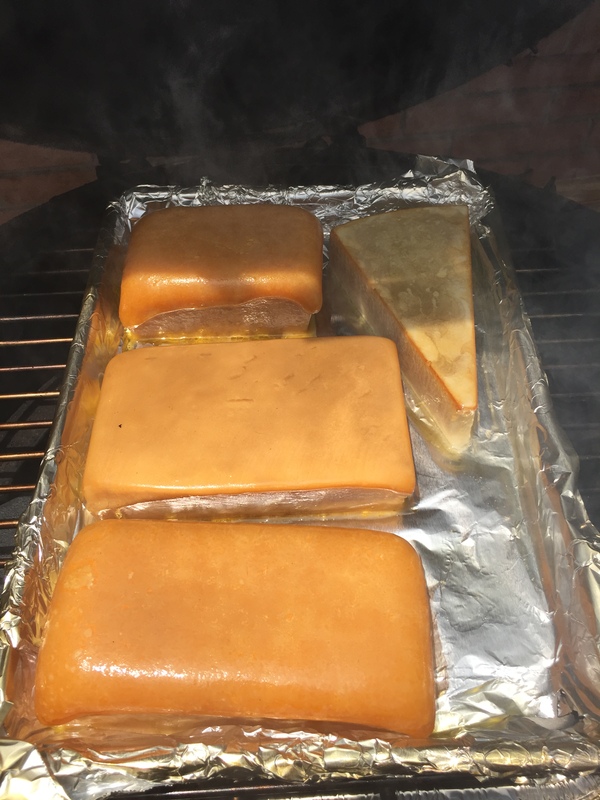 Smoking cheese on the Big Green Egg is dead simple – but can be a bit intimidating. This is one case where you definitely need to be looking at it constantly so you don’t end up with a pile of melted cheese. 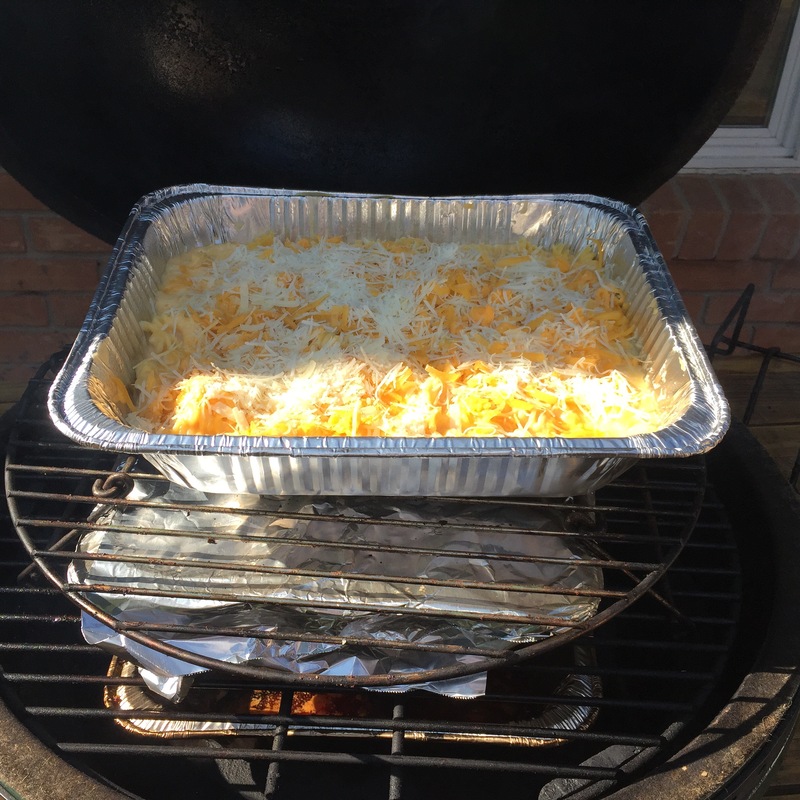 Basically – once you’ve got the egg set up and it’s smoking, you’ll put the cheese on a foil covered baking sheet and place it on the smoker. 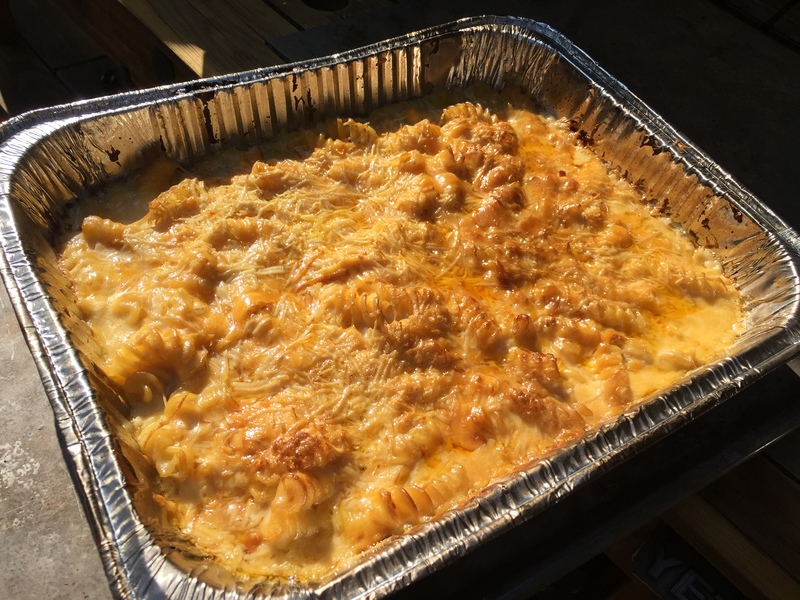 You should be aiming to target smoking the cheese for 15-20 minutes, longer if you can get a really low temp and based on type of cheese you’ve selected for the recipe. Once the cheese is smoked – you’ll see a color change and the tops will start to melt – remove it from the egg and immediately place in the refrigerator to firm back up. 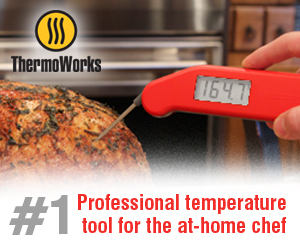 While the cheese is cooling, you can begin to assemble the other parts of the recipe. This is where I would start to raise the temperature of the egg and I get the pasta cooked (to al dente) and I let that cool. Once the cheese has firmed up – shred all of the cheese so it will melt a bit better into the sauce. Heat a large pot over a medium flame (or you could use the egg), melt the stick of butter and spoon flour into the melted butter one tablespoon at a time to make a nice roux. Once the roux has been mixed well and turned to a slight brown color. Once you’ve hit light brown to brown on the roux, you can add in the heavy cream and some milk. Make sure that all of this gets mixed well and then start adding cheeses, stirring as you add everything. Do not add all of the cheese at once – add a little bit, let it melt and then add more. You may keep adding milk as well – until you get to a good desired consistency. Once the sauce is ready, place your pasta in the pans (I used disposable trays) and top with sauce. Mix well and then top the pasta with any remaining cheese. I reserved a bit of all of the cheese for toppings. Place pans on the egg (temp raised to 350-400) and let cook until nice and bubbling hot. The top with get nice and golden brown and it’s ready to go. 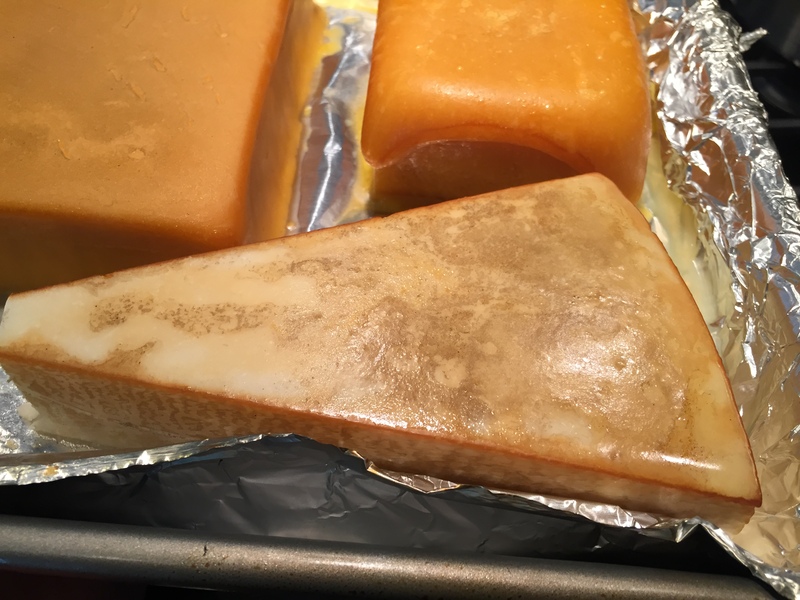 Learnings: I don’t think I’ll smoke the Parmesan again – as it’s a hard cheese, the smoking caused it to lose some of it’s already limited moisture. But you can definitely give it a whirl. Recipe review: Holy crap – why did I not try this sooner? This was well worth the effort and everyone that tried it loved it. 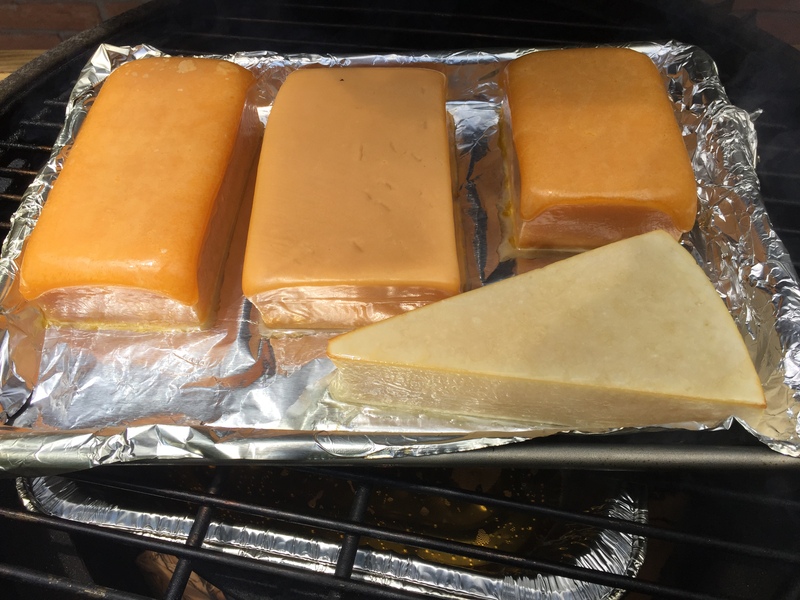 Smoking cheese is going to be my new go to trick. Cheese has melted and has color change – done! How big are your blocks of cheddar and American cheese? The cheddar ones appear to be 16 oz just by eyeballing, and the American one 8 oz? I’m not sure of the specific ounces on these, but roughly 2x of the cheddar to american cheese.